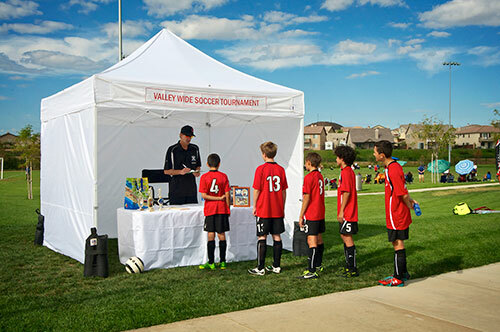 This Impact Canopy Industry Light ML Tent is perfect for Arts and Craft Shows, Swap meets, Flea Markets, Garage Sales, Fairs, Bake Sales, Camping, Sporting Events, Picnics, Parties, and much more! 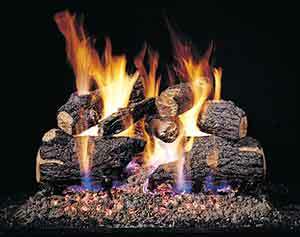 Our enhanced aluminum frame features sturdy construction; guaranteed they are built to take it! 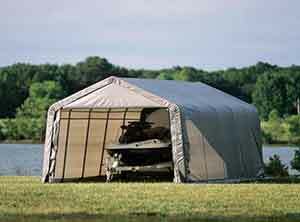 The ML Series Canopies are 100% aluminum construction and will ensure you years of easy-to-handle, rust-free operation. No tools needed for set up, multiple height adjustments plus all models include stake &amp; rope kit. 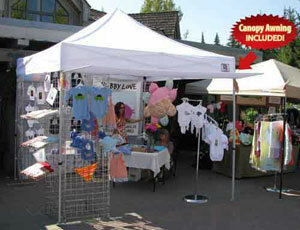 Truss size 1 3/8" x 3/4"
Includes stakes (6) and dust cover bag! 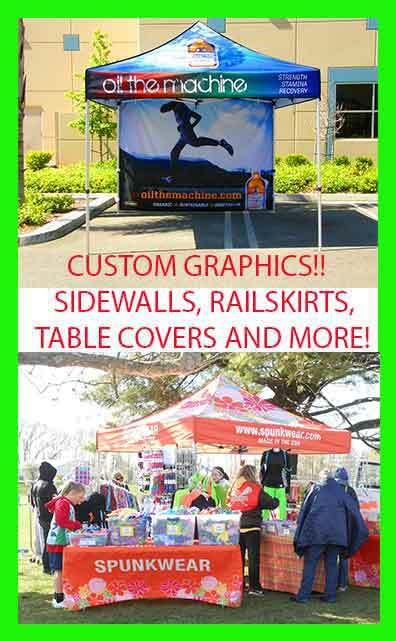 Height to Valance: 7' 3"
Attract attention with your logo on a custom printed graphic canopy, banner or tent!